Seven in 10 college students today graduate with student loan debt, according to a November 2014 study from the Project on Student Debt. In the class of 2013, borrowers owed an average of $28,400, up 2% from the $27,850 average for the class of 2012, according to the study. While some state averages were as low as $18,650, in six states the average debt was more than $30,000. College graduates with standard 10-year repayment plans will end up paying thousands of dollars in interest that can prevent financial mobility for years to come. The University of North Carolina at Chapel Hill alum found a full-time job in New York City, but an entry-level salary coupled with sky-high rent wasn’t making it easy to pay off his debt . So he set an aggressive budgeting strategy to combat his loans. Here’s an example: If you had $30,000 in student loans at a fixed interest rate of 4.29% (the current fixed rate for a federal Stafford loan), you’d pay a total of $6,946.48 in interest over 10 years. If you paid the loans off in three years, your interest would total $2,025.42. That’s a savings of $4,921.06. The faster you pay off that debt , the less money you’ll end up spending in the long run. Paying back loans more quickly means creating a realistic budget . Take into account your total debt along with other monthly expenses, and then factor in your income sources. Zina Kumok started a blog, debtfreeafterthree.com , after paying off $28,000 in student loans in three years on a $30,000 annual salary. She split living costs with roommates, avoided accumulating credit card debt and held onto her 1999 Toyota Avalon instead of upgrading to a new car. Meeting only the monthly minimum on your loans ensures your payments will drag out for years, and you’ll pay more interest in the long run. Making larger and more frequent payments will lower the principal balance and reduce interest, says John Heath, directing attorney at San Francisco-based Lexington Law. Standard repayment — Set amount every month for 10 years. Graduated repayment — Payments are set lower initially, but then increase until the loan is paid in full. Extended repayment — Set monthly amount to pay beyond the typical 10 years, usually for a period of up to 25 years. Income-based repayment — Reduces your monthly payment amount to a percentage of your income, typically for a period of 20 to 25 years, depending on the specific plan. Public service loan forgiveness — After 10 years of payments, those in public service careers can qualify for federal loan forgiveness. Loan consolidation —You can consolidate multiple loans into a single monthly payment. This option can lower your monthly amount and extend repayment up to 30 years. No matter what plan you choose — or how much time you take to pay off your loan — the worst mistake to make is ignoring the debt altogether, advises Erin Ellis, financial educator at Philadelphia Federal Credit Union. Anna Helhoski is a staff writer at NerdWallet, a personal finance website. 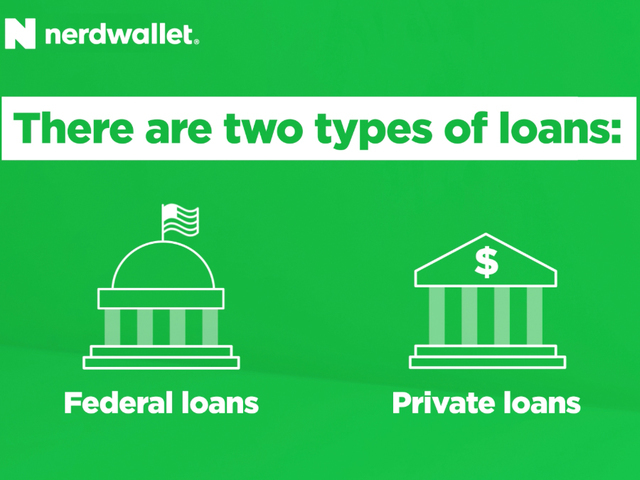 Email: anna@nerdwallet.com . Twitter: @AnnaHelhoski .